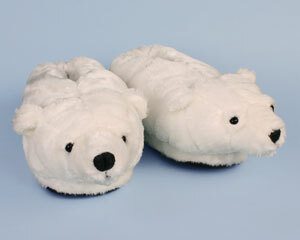 From the snow-buried caves of the far north comes the perfect pair of polar bear slippers for bearish types who love to hole up in their dens all winter long. They're thick. They're fuzzy. They're super-plush. 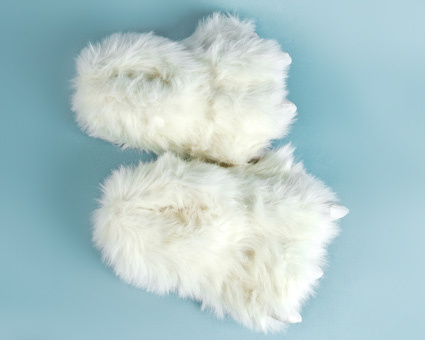 And they envelop the entire foot, making them perfect for shuffling around your cave on those cold nights. 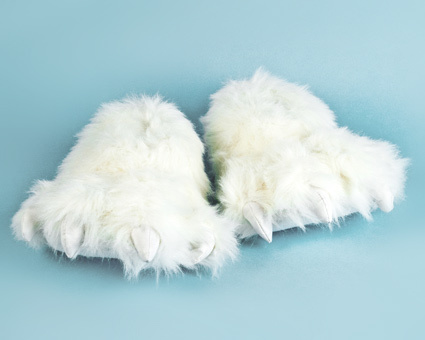 These polar bear paw slippers, complete with white claws, will have you wishing it was winter year round so you'd never have to take them off. 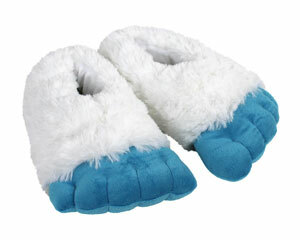 Made with super soft polyester plush, foam footbeds, and non-slip grips on soles. Whats not to like? Comfy and fun slippers! I love these slippers! They are so comfortable and soft. I got a pair for my boyfriend too and he loved them so much he bought the brown pair too. I was very pleased with my order. 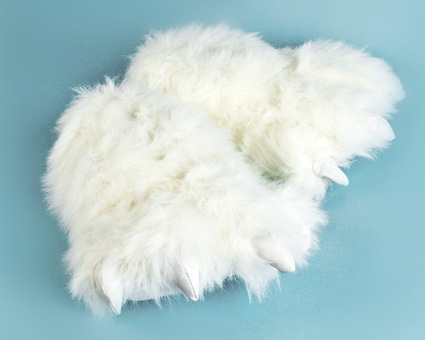 My daughter wanted the polar bear paw slippers in the worst way and I gave in and ordered them. They are perfect. Advantages: My order arrived way sooner than I thought it would which is always a plus. 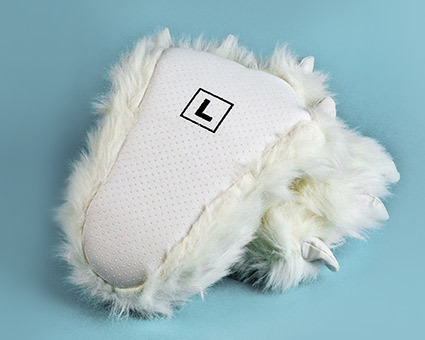 I highly recommend bunny slippers.com. I will be doing orders for Christmas in a few months. My girlfriend was very excited to open this package on Christmas Day !!!! I love them, very pretty and warm. Delivery was fast. Can't wait to order others. Advantages: Better then the cheap version from Walmart. Well with it. 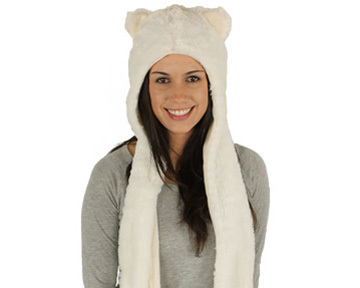 So cute, warm, and soft! The claws are really big so it looks like I have polar bear feet. Soft and fluffy, warm and comfy... I love them ! 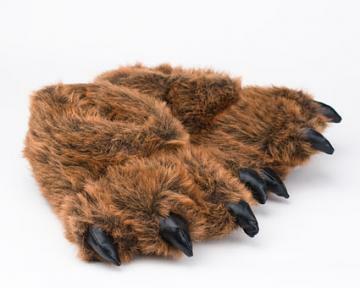 Sometimes it is just too cold for bare feet, but it's never too cold for bear paws. I would use them as a teaching tool, meeting overly serious students whilst wearing them and they always worked to lighten the atmosphere and get a better, more natural response from my charges. Advantages: Extremely comfortable. Warm, but they don't cause the feet to sweat. Disadvantages: Obviously, they will get dirty easily. I was just thinking of how to clean them when I found the soles had worn through. I didn't expect to use them outdoors, but I would have appreciated a better sole so they might last more than one season.